There are many different ways to incorporate the little details in your home to make sure that it reflects your sense of individuality. In fact, if you are an avid video game fan, then you would surely have action figures from you favorite video game titles dot the shelves in your home, not to mention having perhaps a fair number of video game connected shirts and the ilk. Why not have a very 16-bit welcome to guests with the $19.99 16-Bit Game Controller Doormat? 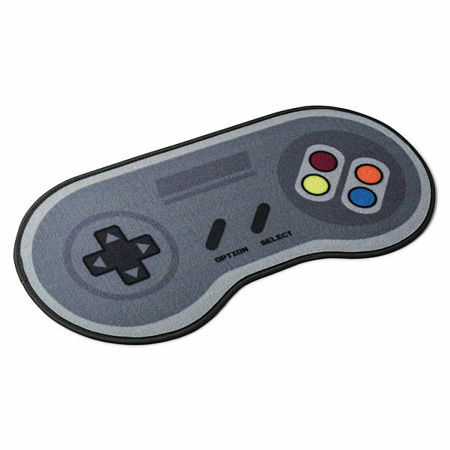 The name of it says it all – this is a doormat that comes shaped like an old-school game controller, where there is no need for any kind of drivers since it is but a doormat. It sure as heck brings back the good memories of the SNES vs MegaDrive debate, don’t you think so?